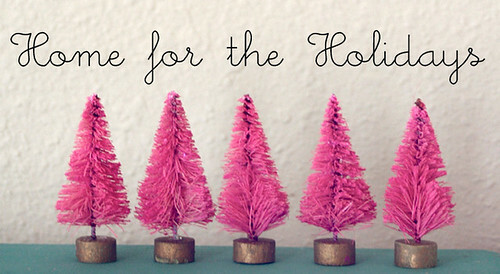 Oh, the last Home for the Holidays post is here! It's been great to have so many of my favorite bloggers share their pretty things on Smile And Wave while we've been moving into our new home. We've got our Christmas tree up, white lights on the windows, and our washing machine works! Elsie is finishing things off with a winter trend DIY to make for yourself or for a few lucky friends. Hi, It's Elsie from A Beautiful Mess. I'm so happy to be a part of Home For The Holidays! It's such a magical season. My favorite trend this winter is crushed velvet. I love it so much and want to make everything from clothing to pillows for my home with velvet in rich shades. 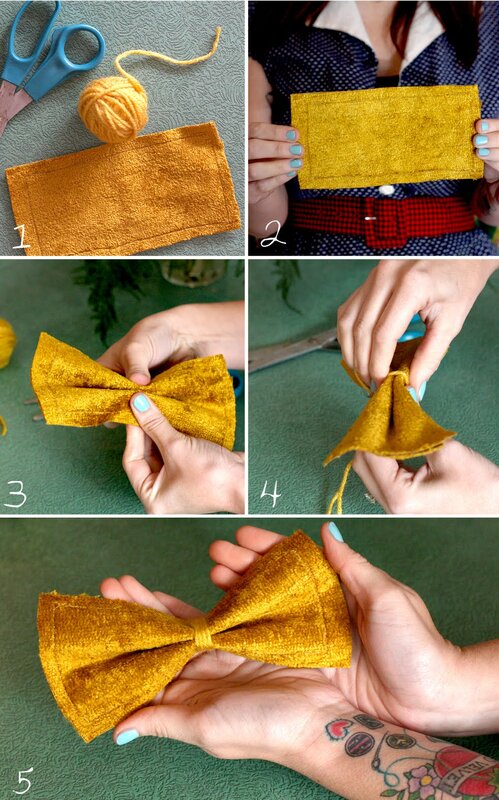 Velvet is a great textile to create with. 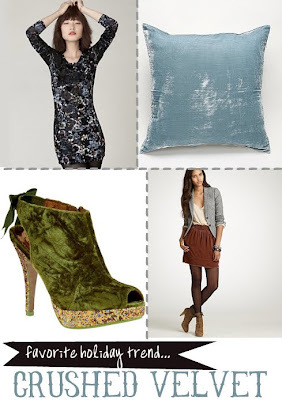 *product sources: dress/free people, pillow/Urban Outfitters, shoes/ModCloth, skirt/J.Crew. Creating a crushed velvet holiday hair bow is easier than it looks! Step 1: Supplies...You'll need some velvet fabric, scissors, yarn and an alligator clip. Step 2:Stitch two pieces of velvet together (I left my edge raw, velvet doesn't fray much). You can use a machine, like I did, or stitch it by hand. Step 3: Cinch your bow together in the center. Hold it together until fastened. Step 4: Fasten/Secure with yarn or more velvet. Step 5: Add an alligator clip to the back and Ta-Da! You're done. I made an XL bow (3x5 inches) try smaller bows for the little people in your life too! They make great stocking stuffers. A big thank you to all of you who've stopped in to share your thoughts and links up to Home for the Holidays these last two weeks and an even bigger thank you to each of my contributors who took the time to write up their posts. I'm looking forward to getting back into the swing of blogging regular holiday inspired posts of my own and sharing more peeks of our new space as it comes together! This weekend my sweet little family spent two nights sharing home cooked meals, made brownies, enjoyed our first dusting of snow, doorbell ditched some treats to our friends, spent an afternoon with a bunch of soldiers and their families, saw Santa Claus, lost power for the third and fourth time, and are currently crossing our fingers that we don't all get what Sebastian came down with today. Brett is officially done with this semester's class work which means we get to see him more! This week is looking pretty great so far. I've missed you all and hope you're enjoying your month of December. If you've made or tried anything from the last two weeks of Home for the Holidays feel free to link up to it in the comments section of this post. I hope your weekend was special! Loved the DIY posts, looking forward to seeing your new home decked out for Christmas! Cute!! 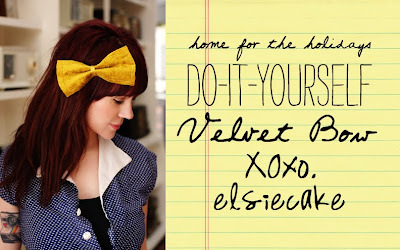 I just bought some velvet on my way home from work so I can make some! Thanks for all the DIYs!